Inviting all creative spirits! 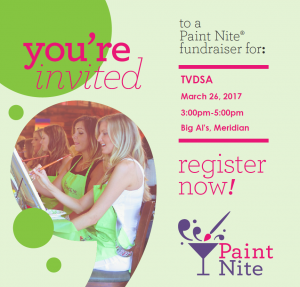 Explore your inner artist while raising money for TVDSA! 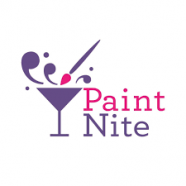 We’re hosting a Paint Nite, where a local artist will assist and inspire us while we mix and mingle. Paint Nite will donate a portion of ticket sales to TVDSA to increase the awareness around Down syndrome so that the whole community will accept and recognize the greatness we see in our loved ones, not just the differences. Become a TVDSA Member TODAY! Fill out the membership form at the link below and email to membership@idahodownsyndrome.org. Click the image to start shopping. Amazon donates 0.5% of the price of your eligible AmazonSmile purchases to the charitable organization of your choice. AmazonSmile is the same Amazon you know. Same products, same prices, same service. Read inspiring stories from our families, informative articles, and the latest TVDSA news. Donate online to support TVDSA. This is a secure transaction and can be from a credit card, debit card, or existing PayPal account.